I follow the game industry pretty closely. It’s a hobby, of sorts. I read and listen to lots of criticism and industry analysis, but for a long time, Edge was the only outlet I read regularly, cover to cover. That changed two years ago when Ben Kuchera started the Penny Arcade Report. He took a thoughtful, opinionated approach, covering major stories only when he had something to say, diving deep into wonderful rabbit holes that other outlets would pass on. His stream-of-consciousness Far Cry 3 travelogue is one of the best pieces of game writing I’ve ever read, bar none. Read it. Ben assembled a great team and PAR quickly joined Edge as my second games journalism staple. Sadly, after two years of top notch work, they announced yesterday that they’re closing shop. The Penny Arcade guys feel like they’ve spread themselves too thin, so they’re trying to consolidate and refocus on their core projects. 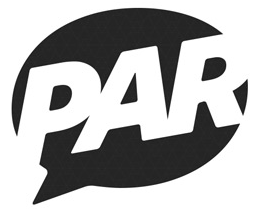 Tragically, PAR is one of the casualties. Ben, Sophie, Kristin, Dabe: condolences, and thanks for all the great writing. You guys rock. Best of luck, can’t wait to see what you do next! It could be the baby-related sleep deprivation, but seeing Tycho’s post about this late last night hit me pretty hard. Business tradeoffs are jillion-dimensional and always tough to make, and so it would be naive to claim this is some objectively “wrong” decision … but for me personally, it really stung to see Tycho prioritizing a bunch of stuff I actively don’t care about (Pinny Arcade pins, spin-off strips, etc. ), at the expense of something that has introduced me to all of the best games I’ve played over the last two years (PAR). agreed. they’re doubling down on the things they personally like, but it’s sad when those aren’t the things we personally like. and congrats (again) on alexandra! hope she sleeps through the night soon. we’re working on having our own, so i may be pinging you for advice in a year or so. Always happy to chat about babies or anything else. It’s been too long, anyway. :-) Best of luck.